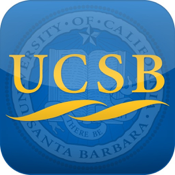 Discover University of California, Santa Barbara! Thinking of attending University of California, Santa Barbara located in Santa Barbara, CA? Prospective students and families can explore the campus and learn about our unique programs, culture and sports teams through a self-guided tour. Whether at home or on campus our interactive student guide will accompany you as you explore our offerings through the use of the GPS-enabled campus map, student videos and photos.